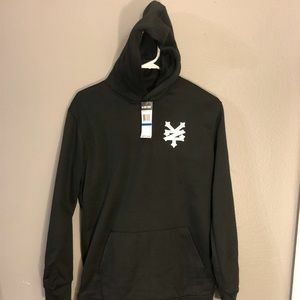 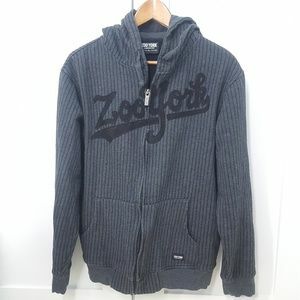 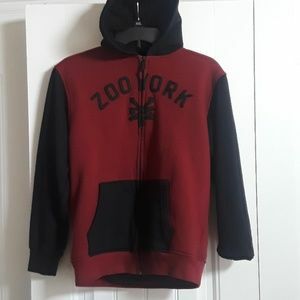 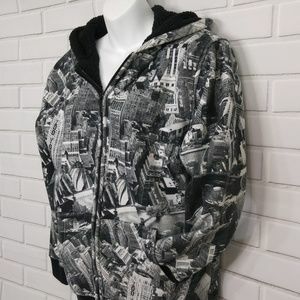 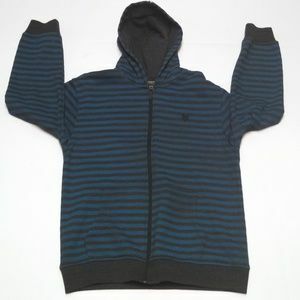 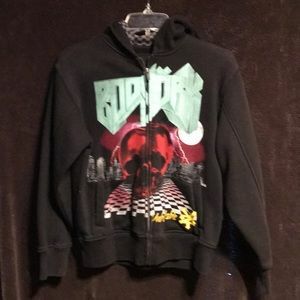 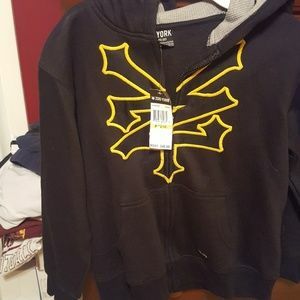 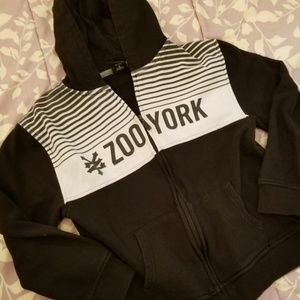 DESCRIPTION Full zip, black Zoo York guys hooded sweatshirt with Gray Zoo York and logo screenprint across the chest. 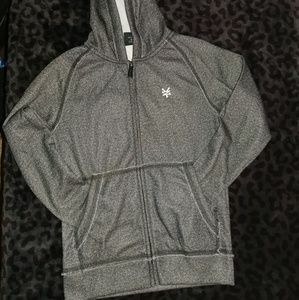 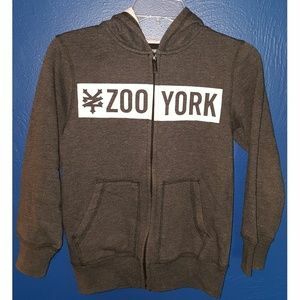 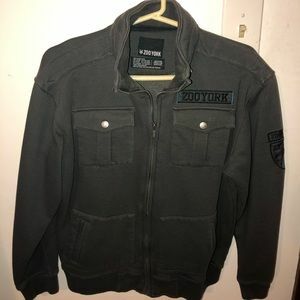 Gray Zoo York logo embroidered on the front Black sherpa lining in hood and body. 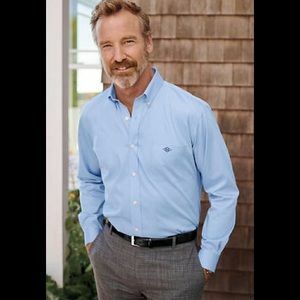 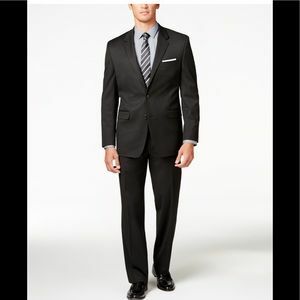 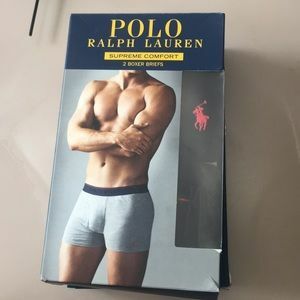 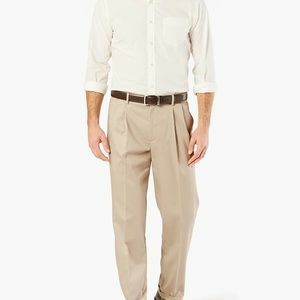 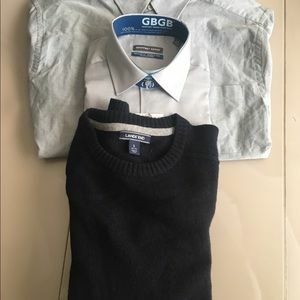 Cotton polyester, Imported. 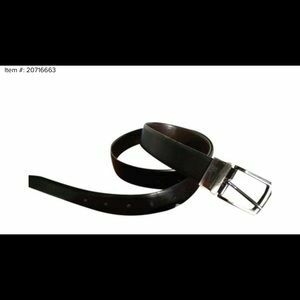 SHOWS NO SIGNS OF USE! 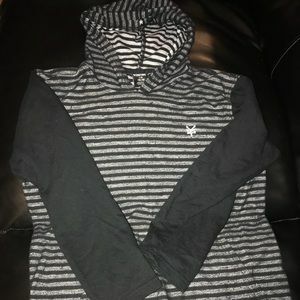 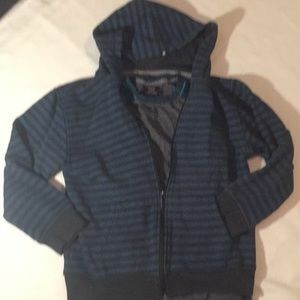 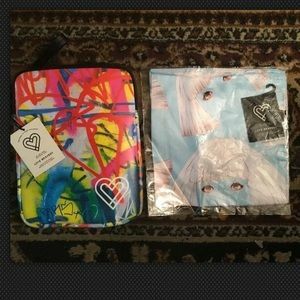 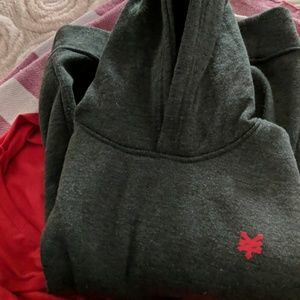 Kids boys hoodies (2) 1 T-shirt lot . 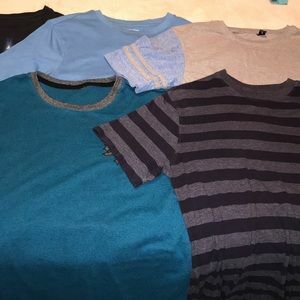 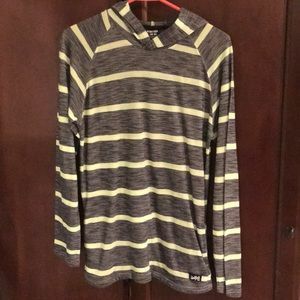 5 Kid shirts, all together $15, different brands!